The 23rd-29th July 2018 is National Photo Week and in honour of that (and the fact that we love to share photos of our craft projects!) we've created a photo challenge to add to the list of Happy Barnet Craft Challenges! 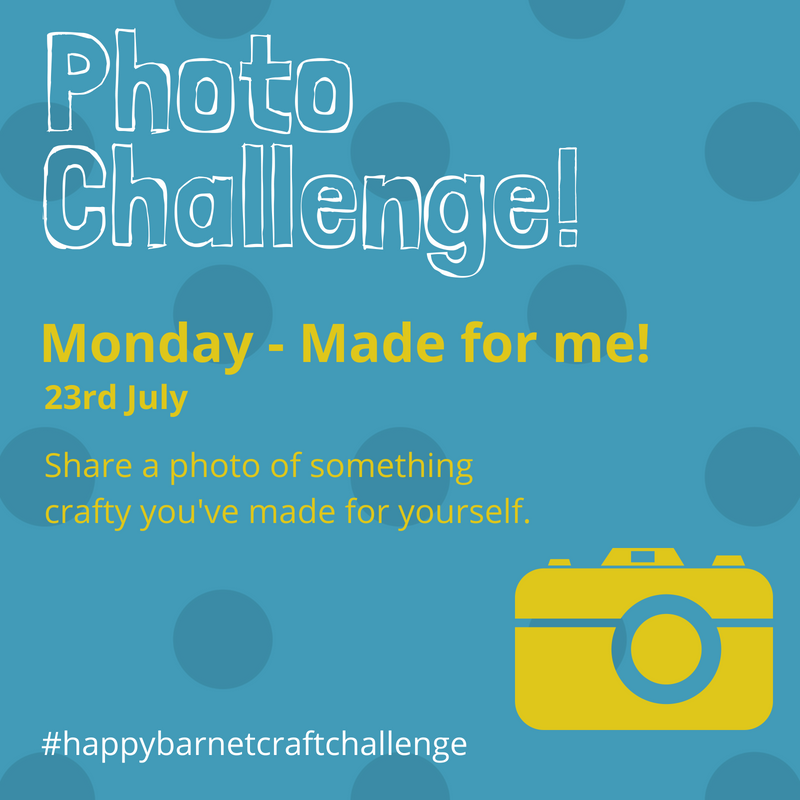 Each day during the week will have its own crafty photo challenge prompt and all you need to do post a photo using the hashtag #happybarnetcraftchallenge. You can also join us in our Facebook group and share your photos with the rest of the craft challengers there. Of course National Photo Week have their own prompts too and you can see them all at http://www.photoweek.co.uk/ and by using their tag #nationalphotoweek. Scroll down to see more info for each day. Happy crafting, folks - don't forget to share your photos and use the #happybarnetcraftchallenge tag! Monday - Made for Me!